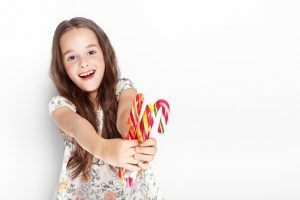 Is There a Connection Between Sugar Consumption and Childhood Hyperactivity? “He’s going be up all night after eating all that sugar” It’s a common phrase that all parents say while they watch their children run around at a birthday party. We have long believed that there is a direct correlation with sugar intake and hyperactivity in children, but is it true? The fact is sugar consumption doesn’t change a child’s behavior. Multiple studies have been conducted and found that a sugary diet doesn’t affect mood or cognitive abilities. Using double blind studies, researchers observed two groups of children, one group was given sugary substances; the other group was given a placebo. The findings concluded that no noticeable changes in behavior were observed between the two groups. So why do parents believe there is a connection? A separate study suggests that often, a parent’s expectations can affect their perceptions. It was observed that parents who believed their child’s behavior is affected by sugar consumption noticed hyperactive behaviors when they were led to believe the child had a sugary drink – even if they hadn’t. Another reason why some parents think there child becomes hyperactive after having a high-sugar diet is the resulting “crash” that sometimes follows. Internally, when blood sugar levels rise quickly, the body produces a large amount of insulin to sweep the sugar out of the blood stream, which can result in a child becoming sluggish. The low blood sugar levels can then trigger a craving for more sweets, creating a “roller coaster” effect that can be misconstrued as hyperactivity. 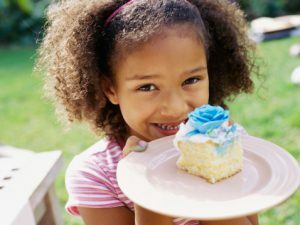 This by no means suggests that a high sugar diet is good for children. Most experts will agree to choose healthy options and reserve sugary snacks as once in a while treats. A high sugar diet can lead to childhood obesity, diabetes, and oral problems. Parents looking for reasons why their child might be hyperactive can look to other factors such as, sleep problems, emotional disturbances, learning disorders (such as Attention Deficit Hyperactivity Disorder), or general temperament. Consult with your pediatrician if you think your child is hyperactive. If you do not have a pediatrician, Flushing Hospital’s Pediatric Ambulatory Care Center has many qualified doctors who can help. For more information or to schedule an appointment, please call 718-670-3007. Using a glucose meter to check your blood sugar levels after eating, exercising or taking your diabetes medication, can help determine how your lifestyle affects your diabetes. It may even help you to better plan and implement changes that will assist you in managing your diabetes, helping to reduce the risk of complications related to kidneys, eyes, skin, feet and the nervous system. The blood glucose meter is an electronic device that uses a disposable test strip with a small drop of blood and reads your level of blood glucose on a digital display. A blood glucose test is performed by pricking the skin (typically, on the finger) to draw blood, then applying the blood to the test-strip. The test is usually referred to as capillary blood glucose. Healthcare professionals advise patients on how often they should monitor their levels based on their diagnosis. Most people with Type 2 diabetes test at least once per day. Diabetics who use insulin (everyone with Type 1 diabetes and some with Type 2) usually test their blood sugar more often (3 to 10 times per day), both to assess the effectiveness of their prior insulin dose and to help determine their next insulin dose. Glucose meters are available at a variety of price points. Though the cost of monitoring may be expensive or time consuming, the benefits are worth it if you can avoid the medical costs of diabetes complications.